Every time I visit India, one powder that I must pack in my suitcase is sambar powder. My Amma makes awesome powder and the sambar made from her powder tastes delicious. Every household in south India, have their master recipe and in each house therefore the sambar tastes different, which is a good thing. The powder is basically made from all the ingredients that u can find in the anjala potti ( spice box). The proportions vary and hence the taste varies. 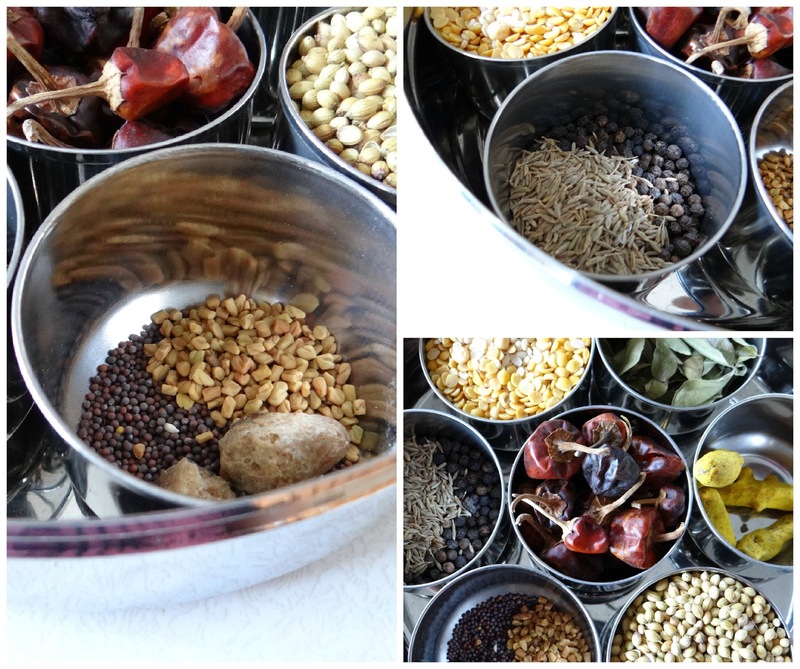 I used all the ingredients from my spice box to make Amma's sambar powder. The same powder can be used for making kootu, kozhambu, rasam, but a spoon of cumin powder needs to be added to the rasam. This recipe makes 3 cups of the measures used. 1. Blend all the ingredients into a powder and store in airtight container or in ziploc in the freezer. Very flavorful powder..I use byadagi chillies for sambar powder. Home made is always the best, I love to try different powders, gives a slightly different taste rt..
Hooray! I am gonna try homemade sambar powder soon... Thanks for sharing! Amma's recipes are always the best, nothing will be this homemade sambar powder..
Wow Amma's recipes are always best recipes and homemade recipes are too good. 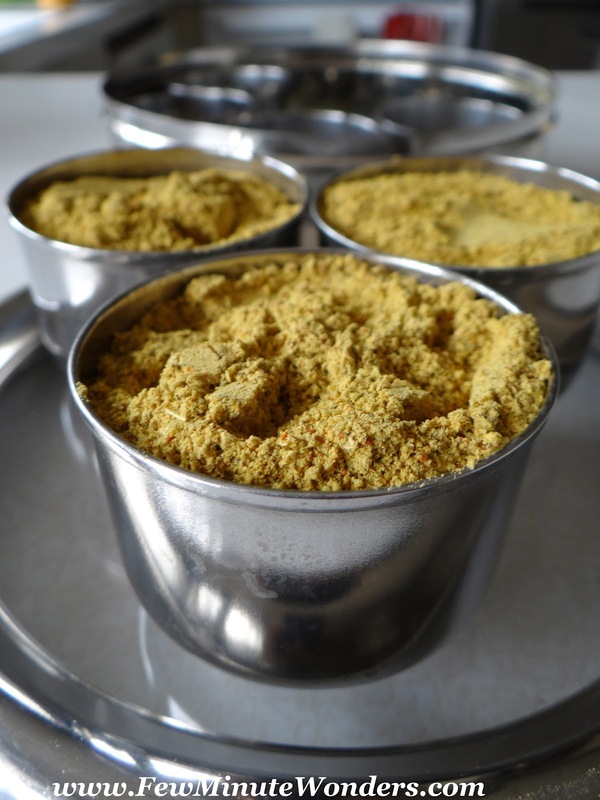 Delicious sambar powder, Love that it is your family recipe. I am trying to standardise a sambar powder. Will make this for sure. hi - dont you have to roast these ingredients? Looks so easy!! In India they usually keep these in the sun and grind them. Amma says she does not roast them. How To Make Rice Kheer/ Pal Payasam In The Oven?